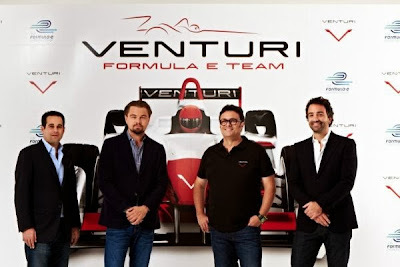 Venturi Automobiles today announced a joint venture with award-winning actor and environmental activist Leonardo DiCaprio to enter a team in the new FIA Formula E Championship - the world's first fully-electric race series beginning in September 2014. "The future of our planet depends on our ability to embrace fuel-efficient, clean-energy vehicles," DiCaprio said. "Venturi Grand Prix has shown tremendous foresight in their decision to create an environmentally friendly racing team, and I am happy to be a part of this effort." Venturi Grand Prix will now be put forward to the FIA for approval as the tenth and final team to enter the new zero emission series. They join international names from around the globe with IndyCar outfits Andretti Autosport and Dragon Racing, Asia's China Racing, Super Aguri and Mahindra Racing, and European squads Drayson Racing, e.dams, Audi Sport ABT and Virgin Racing. The team is centred around the award-winning Venturi Automobiles, a leader in high performance electric vehicles developing a range of sports, urban and utilitarian cars, as well as being the current holders of the world land speed record for an electric vehicle with 495kph (307mph). 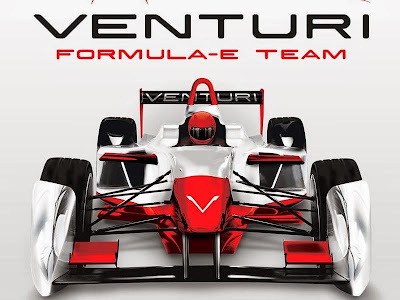 The team also plans to become a constructor from the second season, building its own Formula E car using a powertrain based on the one used in its 3,000hp electric streamliner - Venturi VBB-3 - unveiled earlier this year in Wendover, Utah, by H.S.H. Prince Albert II of Monaco. 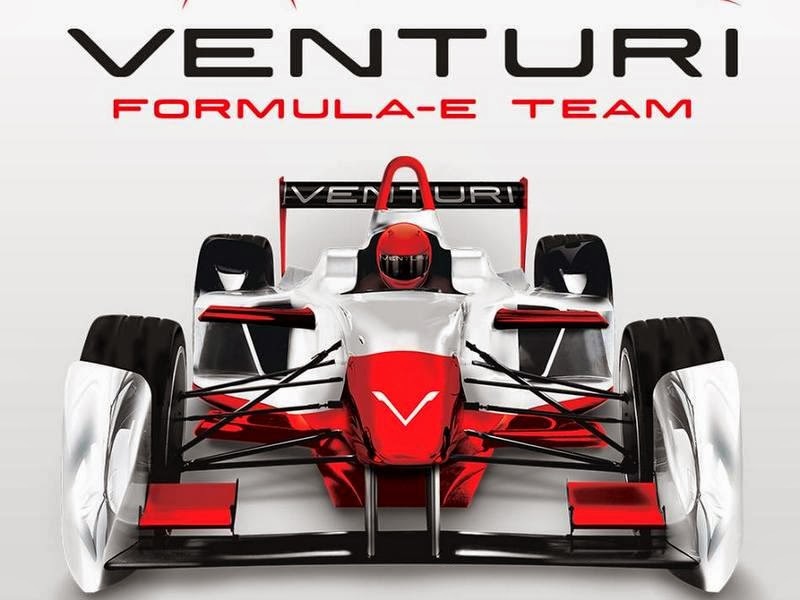 "Venturi has been a pioneer in electric high performance vehicles for more than a decade and Formula E gives us the fantastic opportunity to further improve our advanced technologies through motorsport, as well as compete all over the world," said Gildo. "It also gives us the chance to be part of a new racing programme with a project that really shares Venturi's values for clean mobility, innovation in the field of electric propulsion and energy efficiency optimisation." 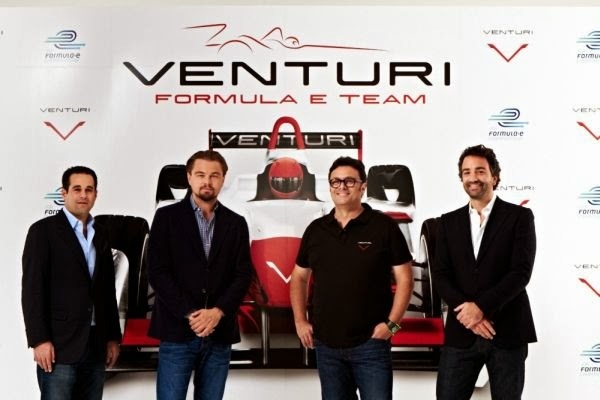 "It's an honour and a pleasure to welcome the Venturi Grand Prix team as the tenth and final team of the FIA Formula E Championship," said Alejandro Agag, CEO of series promoters Formula E Holdings. "Gildo is a true pioneer in electric racing. From the desert of Salt Lake to Antarctica, his passion and vision pushes forward the technology barriers of what can be done with an electric car. But Gildo is not alone in this venture. Global entrepreneurs Francesco Costa and Bert Hedaya bring great experience and energy to the team. "And of course, I want to give a very special welcome to our Championship to Leonardo DiCaprio. Very few environmental leaders have helped more than him to spread the message of sustainability around the world. Having people like him and Richard Branson - global ambassadors for the environment - is a privilege for our Championship and will greatly help us to spread the use of electric cars in cities around the planet."